Orly Wolynetz - Redstone Agency Inc.
Orly has a strong passion for event planning. Her top priority is getting to know the client and their needs, while ensuring the highest quality service and the best outcome. Orly graduated with a Bachelors of Science in Psychology, which she incorporates everyday in her work. Her education comes into effect when she is communicating with her clients and colleagues, or coming up with effective strategies to meet and exceed expectations. Orly believes that the first step to success, is taking the time to get to know the client’s vision for the event. After doing so, she is able to find innovative and exciting ways to make that into reality. Orly developed her love for event planning from her involvement in many organizations in her community. 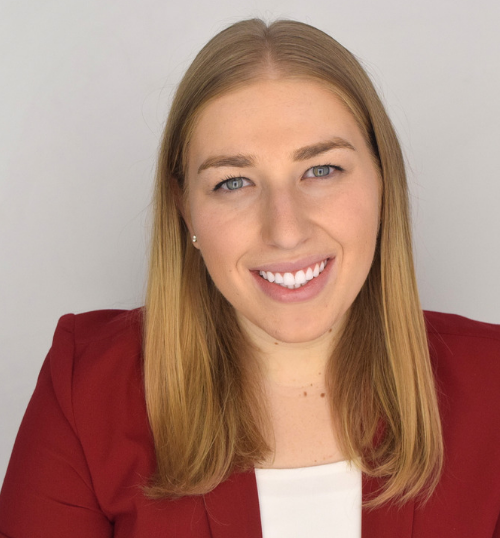 Before joining the Redstone team, Orly was the president of a young professional social enterprise, where she spearheaded their marketing campaigns and planned all of their small and large events. She has also had experience in planning fundraising events. Orly has a nuanced balance of always focusing on the big picture, while paying due attention to the small details, ensuring nothing is missed. She is a goal-focused, organized and hardworking individual. Orly’s personable nature, conscientious work-style, along with her drive for client satisfaction, are a few of the key assets that makes her a valued member of the Redstone team.